Flawed Mom: Dr. Drew, this Friday, May 6 at 9 p.m.
My older son and I are scheduled to appear on Dr. Drew this Friday night, May 6. I'm not talking about Liz Lemon's gorgeous, vapid boyfriend "Dr. Drew Baird" (aka Jon Hamm) from "30 Rock," though I wish I was. You may know the real Dr. Drew as the internist who does celebrity rehab and interventions. Dr. Drew has an on-line narcissism test, "How Narcissistic Are You?" In early April, Dr. Drew started a new show that looks at human behavior and features a range of celebrities and non-celebrities. The new show is on HLN, Monday-Fridays, 9 p.m. EST. The Friday show includes a segment entitled, "When parents supply teens booze." (Yes, I have my imaginary flak jacket on.) One of Dr. Drew's producers called last Friday and said he'd seen us on the CBS Early Show and asked if we'd like to be on Dr. Drew. Since I am trying to sell a book of humorous essays about parenting and my older son is working towards an acting/stand-up comedy career, I said we'd do it. (I'm also trying to sell a book of short stories, but I doubt Dr. Drew is going to ask me about that.) When the producer texted that he would send us "a fancy town car," and tacked on a smiley face, I smiled back. The show was actually supposed to air tonight but that show is now devoted to Osama bin Laden's death. Breaking news is always a shock, even when the bad news turns out to be good. This morning, the producer called to delay the interview. He asked if I had been affected by 9/11. My first cousin was on the first floor of one of the World Trade Center buildings at the moment that the first plane hit. He was supposed to be on one of the top floors, but stopped to use the bathroom. My brother, who worked nearby, jumped on a ferry back to New Jersey and showed up at our door. The father of one of the boys on my younger son's LIttle League team last year was killed in 9/11 and I thought about that every time the boy got up to bat. So though I was affected by 9/11, I was not affected in a way that would interest this producer, thank God. HLN is CNN's network "dedicated to covering news stories that hit home." 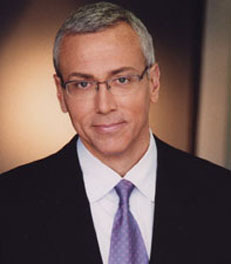 I have to admit that the first time I ever watched Dr. Drew was Saturday morning. He was interviewing Nikki Sixx, the bassist for Motley Crue, who was promoting his new book This is Gonna Hurt: Music, Photography and Life Through the Distorted Lens of Nikki Sixx and talking about his addictions. I don't think we will be as interesting to watch but please tune in anyway! Wouldn't it be funny if the two of you staggered onto the set with an empty bottle of Merlot. Ha ha, very funny! I don't even like Merlot.